One thing we know for sure that the only way to really learn animal behaviour with regards big game, is on foot. With ALL your senses tuned in to the environment, more information is being saved to memory than would be if sitting comfortably in a vehicle – FACT! One afternoon not far from our Kirawira base, we had a superb opportunity to follow a large elephant bull on foot. The lessons came thick and fast: don’t rush – take time to absorb the surroundings and listen to what is going on. Stop and see what the elephants have been feeding on – smell the roots or bark. Keep your awareness levels up – soon a second elephant bull went to join the one we were following, coming in from the side – remember the way elephant groups move and spread out – APPLY your knowledge to the situation! 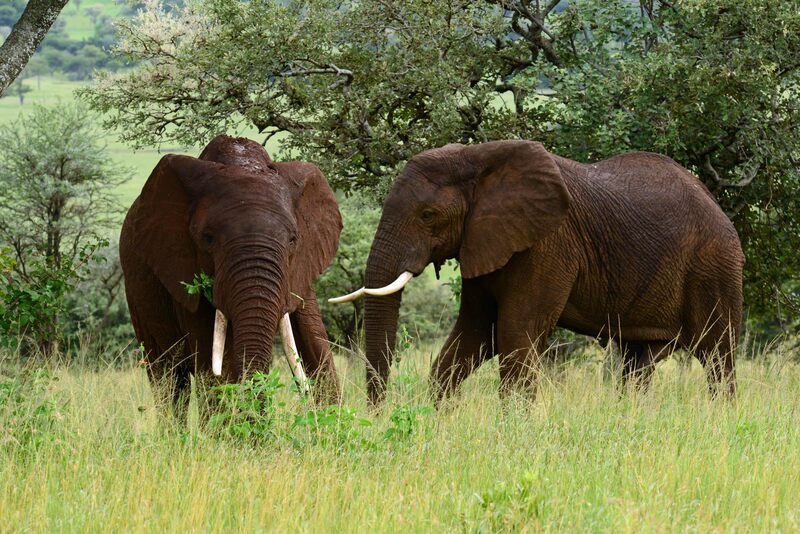 We used cover and wind to great effect as we watched these magnificent creatures walk along. What was fascinating was to feel how fast we had to walk to keep up with them, even though they looked like they were moving along slowly – like ghosts in the bush. With tracks of hippos, hyena and lion as well, we also realised how carefully we need to make decisions regarding the routes we take when we walk. If you have never tracked an elephant on foot, find out where this is possible and go and do it – it will change your perceptions of these amazing and now endangered creatures forever!